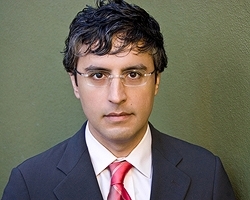 In the past few days, the name Reza Aslan has sparked attention because of his latest book and a subsequent interview with Fox New. The reviews of the book vary (The New York Times, The Telegraph, etc.) but whatever people think and say, his book has drawn a lot of attention and discussion and has certainly boosted his website AslanMedia.com. The website has attracted many volunteers to contribute to write, tweet, and blog on issues related to the Middle East in particular. Students at MIIS will well remember his workshop in February 2012 where he and Kiva Co-Founder taught nonprofit professionals how to receive media exposure for topics generally neglected in mainstream media. In the technological era of the twenty-first century, the internet allows for news and ideas to spread within seconds. 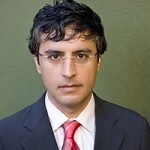 Reza Aslan has taken advantage of this development. For him, social media is a necessary tool not only for education but also for capacity building, marketing and strengthening entrepreneurship. The Executive Education Workshops are an integral part of MIIS education to make students become the solution: develop skills, creativity and innovative ideas for problem-solving. To kick off the new non-degree certificate offering, we are hosting a free webinar, “Continuity Planning: Job Outlooks and Opportunities,” Tuesday, November 27 from 12-2pm PT with Dr. Ernest Scalberg. Those interested in learning about careers in business continuity, disaster recovery, and contingency planning – as well as the new certificate – are encouraged to participate. Register for this webinar. The Monterey Institute of International Studies Executive Education Program and de Baak Management Center present this pertinent course on maintaining foundational values and ethics throughout the growth process. This workshop is focused on his latest insights and he expects that everyone leaving this workshop will experience at least one fundamental change in the way she or he views the world. For more information, visit the course page on the MIIS Executive Education website! On February 17 and 18, the Monterey Institute Executive Education program held a training on “Harnessing the Power of Social Media, Youth Movements, and Dynamic Markets” with Dr. Reza Aslan (Aslan Media), Jessica Jackley (Kiva co-founder), Austin Heap (founder of Haystack) and Roshi Pejhan (Aslan Media and MAIPS ’06). The training included 19 participants (in-person and via a webinar on Friday) from non-profits, schools, and private companies around the world. Learn more about GSIPM executive education programs. Participants learned how to launch a social media campaign, crowdfunding tools, and current trends and tools in this new and revolutionary industry. During the training, Jessica Jackley announced the closure of Profounder, a crowdfunding company she co-started in 2009. She cited the difficult regulatory environment and preferences given to wealthy investors as some of the challenges leading to the closure. The free business tools Profounder presented will be live on the web for approximately one more month. The next executive education workshop will take place this June and feature Peter Robertson of Human Insight. The subject of the workshop is continued growth for organizations and businesses. Learn more or register at http://go.miis.edu/exed.